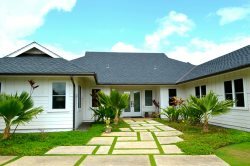 There are still a few condos on Kauai that support a front desk, and there are many advantages to having one on your property. Over the years, many owners have come to depend on the friendly, familiar faces behind the front desk and like the idea of walking over and discussing an issue with someone on-site. It definitely provides that personal contact for your guests, and there is a certain secure feeling that goes along with having an on-site front desk. The advantages of a front desk come with a cost. Many on-site management companies create a culture that ensure their presence for the long term, a higher commission to themselves and higher homeowners association fees, which partially assist in absorbing the cost of the front desk. Owners are charged extra fees if they don’t use on-site management services like key costs and extra resort fees. Some HOA’s won’t allow lock boxes or electronic locks to discourage outside management companies. During an age where technology has become so effective, it is sometimes hard to understand why electronic locks are discouraged by HOAs. The new locks integrate with vacation rental software and eliminate key control and key cost issues. They can control who has access and report and alert the management company to all entries into a condo or home. They have become reasonably priced and are a much safer alternative to keys. Do you need a front desk to be successful? There is evidence that many condo complexes thrive without a front desk. Some of the owners represent themselves; other owners use their right of choice and find the management company that best suits them. The bottom line is they have the choice to spend a lot less on management commission and the owner’s net annual revenue is higher. Are their guests happy and taken care of? Absolutely. “FITs, experts believe, prefer hotels that offer texted check-in codes or lobby kiosks that spit out room keys. ‘So how long until old-school front desks vanish from most or maybe all mid-market hotels? Many major vacation rental companies have hotel backgrounds, and their business model is starting to change. As an owner of a vacation property, you may find that an extra $1000 to $2000 a month in your pocket is a valid reason not to support a front desk and that most of your guests actually prefer it that way.